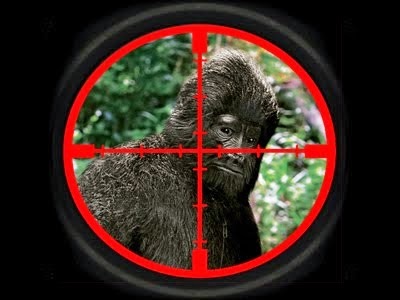 The North American Wood Ape Conservancy (NAWAC) is made up of a large dedicated team of people that are researching Bigfoot (or what they like to call, Wood Apes) in the Oklahoma and Texas area of the United States. They recently wrote a paper about their findings, and Michael Merchant of Zen Yeti is here to break it all down. I will post a link to the NAWAC's paper below and a link to Sharon Hill's write-up on the published report. lol I linked your linked story in the video. :) It might rupture the space time fabric thingy. Had that group of pro-kill nutcases done their homework, they would find out that some branch of the State or Federal government, is going to sweep in and confiscate any body or body parts, that this group may acquire. They will use the excuse that it is a new species, and they need everything to document their existence. When all they will be doing is adding it to their U.S. military cold storage warehouse full of Bigfoot bodies in Montana. A better route would be to just ask Obama to borrow a body, so that you can shove it in the face of state legislators who already know that the Bigfoot are real. Which then begs the question, what do you need a body for in the first place if the people that you want to take action, already know that they exist? Which is why these bozos are pro-kill nutcases, led by a USFS archeologist who ought to know better.